In our February 2012 issue, we published a story about a long-term research project studying the little-known population of Golden Eagles in eastern North America and the potential threat to the birds posed by wind turbines. Scientists who track eastern Goldens, we reported, found that most nest in Canada: south and east of Hudson Bay, in Labrador, and across Quebec to Anticosti Island. 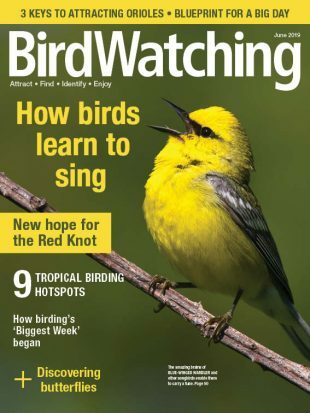 Much of the population, our story noted, appears to migrate south in the fall along Appalachian ridgelines to wintering grounds as far south as Alabama, but remote, high-elevation forests in Virginia and West Virginia are thought to make up the eastern birds’ core nonbreeding habitat. Now, more than three years after our article appeared, the researchers whose study we described report that eastern Goldens exhibit a moderate degree of leapfrog migration. 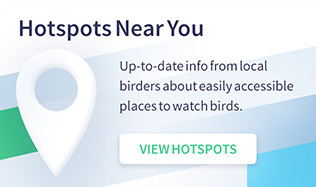 In other words, the birds that breed farthest north spend the winter farthest south, leapfrogging over others in the middle. A paper describing the finding was published today in The Condor: Ornithological Applications. 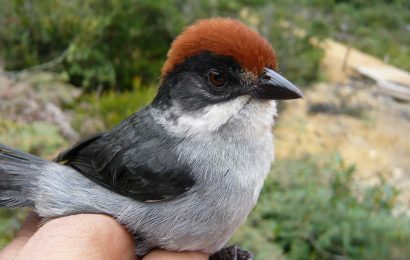 Specifically, the scientists found that the majority of birds they studied spent the breeding season in central Quebec and northern Labrador. 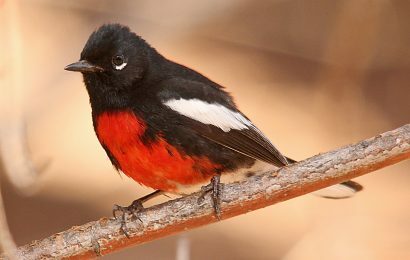 Birds that wintered at southern latitudes, from approximately southwestern Virginia to northern Alabama, migrated about twice the distance of birds that wintered at northern latitudes, from New York to Pennsylvania. Authors David Nelson of the University of Maryland Center for Environmental Science, Todd Katzner of the U.S. Geological Survey (formerly an assistant professor at West Virginia University), Jeff Cooper of the Virginia Department of Game and Inland Fisheries, and five other researchers trapped 42 migrating and wintering eagles between 2006 and 2014, outfitted them with GPS trackers, and collected feather samples to measure their hydrogen isotopes. Geographic areas have unique proportions of hydrogen isotopes in their water, and by analyzing the isotopes in the eagles’ feathers, the researchers were able to match them to the places where the feathers formed, thereby pinpointing the birds’ summer ranges. The GPS units helped confirm that the conclusions were accurate. 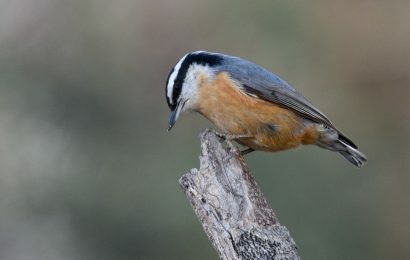 Nelson and his colleagues suspect that the leapfrog pattern could be due to a tradeoff between the favorability of southern breeding locations and the harshness of northern wintering locations. The pattern means that different groups of eagles are likely to be vulnerable to different threats. For example, eagles that summer in southern Canada also winter primarily in the northeastern Appalachian Mountains, where increasing numbers of new wind-energy facilities are being built. Brian Millsap, the National Raptor Coordinator for the U.S. Fish and Wildlife Service, who was not involved in the study, welcomes the new findings. “Effective conservation of Golden Eagles requires that we know which regional populations are affected by various human activities in particular locations,” he says. “Because Golden Eagles are so wide-ranging, individuals from many source populations can co-mingle in winter, making it virtually impossible to assign the effects of an activity like a wind-energy development or a power line to the impacted source population. David M. Nelson, et al., 2015. 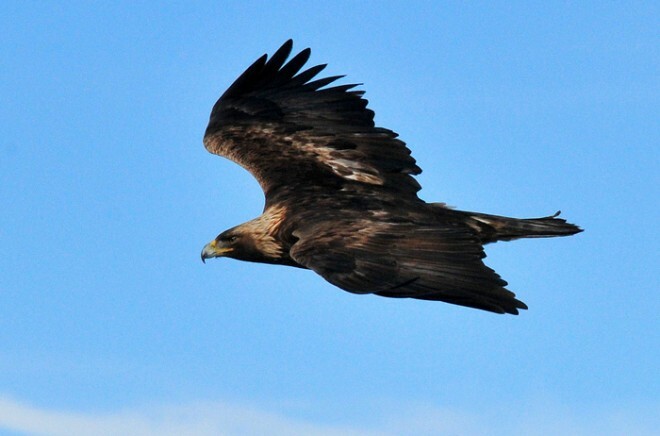 Stable hydrogen isotopes identify leapfrog migration, degree of connectivity, and summer distribution of Golden Eagles in eastern North America. The Condor: Ornithological Applications, 117 (414-429). Abstract. Maps show where to look for Golden Eagle in fall. 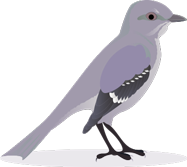 American Bird Conservancy: Reduce the number of birds killed at wind farms. See photos of Golden Eagle.